Many in the construction industry are finally recognizing that content marketing is a smart marketing investment for generating leads and moving prospects through the sales funnel. 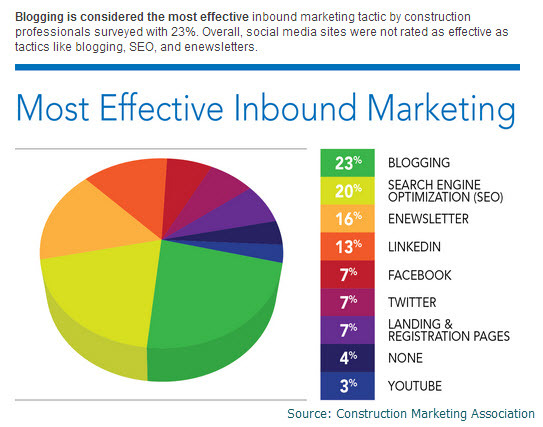 In fact, according to a recent survey conducted by the Construction Marketing Association, 82% of companies surveyed employ content marketing in their construction business (referred to as inbound marketing). No longer are these businesses trying to “push” their message onto builders, remodelers and GCs. Instead, they are using content marketing techniques to open doors, start conversations and over time, they are creating loyal customers and raving fans of their products, supplies and craftsmanship. But the B2C market, such as home builders and remodelers, are still lagging behind. Now it’s time to catch the content marketing bug! Your ideal customers – homeowners – are already devouring content on Facebook, Twitter, and YouTube, but don’t dismiss others, such as Pinterest, Houzz and Instagram. These social media networks are growing at an alarming pace. Also keep in mind that consumers are submerged in content at all hours of the day. They use their PC, tablets or smartphones throughout the day – from work, at home and even on vacation. They surf the net while cooking dinner, watching the game or (gasp!) even during their kids basketball games or dance rehearsals. Browsing these social media networks – and digesting content – has become a top “hobby” for consumers. If you aren’t using content marketing in your business, you are missing out on ways to introduce your business to new prospects. Content marketing is ingenious, actually. Your prospects are seeking a solution or inspiration, and often times, they don’t even know what they are looking for – until they see it. Through you sharing good content and fresh ideas with them, they are able to determine (in a non-pressured environment) whether what you offer is the solution they’ve been looking for. And from there, a door opens. Your Turn: Are you using content marketing in your business? If you aren’t, why not? What is your particular issue? Please leave your thoughts in the comment section below. If you need content ideas, use my free e-book, 52 Content Ideas for Contractors as a jump-start. Download Now. Great post Tess, too many are starting blogs for SEO and forgetting that content is what consumers want. Great rule-of-thumb is to share information first then worry about plugging in a few keywords/phrases to improve your SEO. Never the other way around. 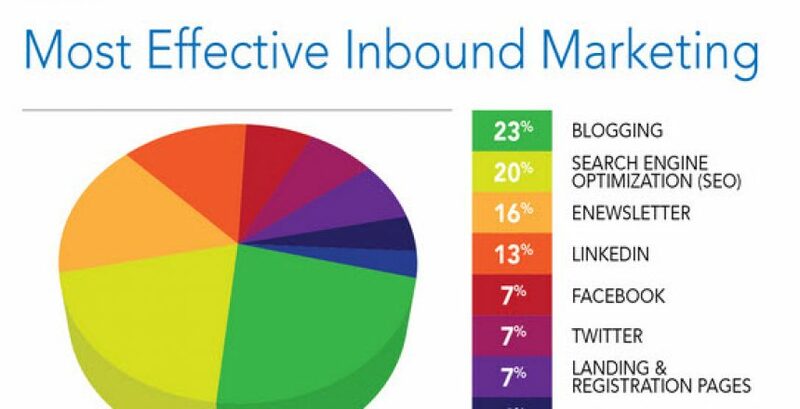 Inbound marketing is the best way to capture new business. Instead of spending hours on end cold calling people who don’t know who you are and aren’t really looking to buy, educate them and inform them through inbound strategies and swoop in when there ready. The most effective marketing is finding ways to get people who have a specific need to know, like trust and contact you … inbound marketing helps with all of those. Thanks for adding to the conversation, Ryan.